Choose from your own personal workout, or pick from targeted singles. View your stats over time, and measure your progress. Smartwatches, such as the Fitbit Ionic, have made daily exercise and staying fit easier for everyone. However, an essential part of working out is keeping track of your progress, and reminding yourself how far you've come from the beginning. 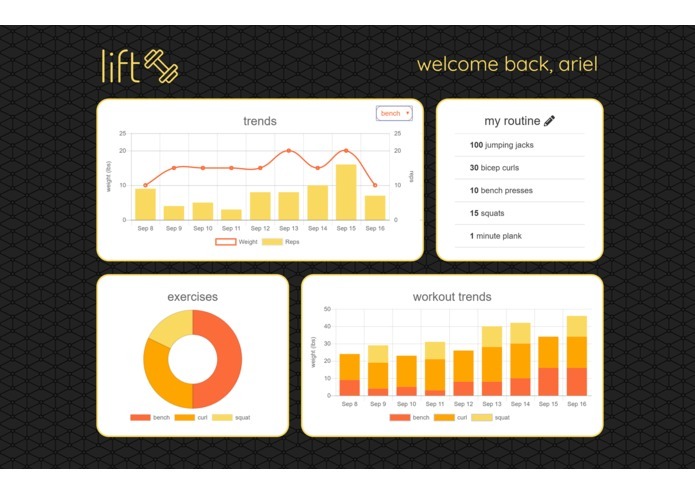 With Lift, we want to enhance your workouts through rep tracking and personalized data for your workouts. Lift is an app for the Fitbit Ionic that allows you to seamlessly track your workout progress. Using the watch's built-in accelerometer, we count your reps so we don't have to. Choose from various exercises and see your data online over time. Lift is built with the Fitbit SDK, whereas the companion web app is built with Vue. During our development, we discovered a bug with the phone emulator, and reached out to the Fitbit team at Hack the North. We were able to resolve the issue by discovering an alternate direction, and got back on track quickly. None of the team knew the Fitbit SDK before Hack the North, and we were able to it in less than a day! Trying cool hardware and new frameworks! Expanding out of our comfort zones and teaching each other new things! 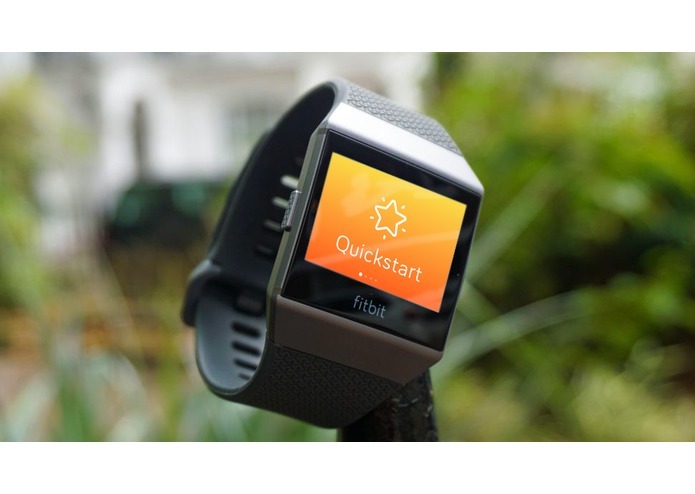 UI/UX design and front-end dev of the Fitbit app. All the pretty bells and whistles! Aspiring software developer. 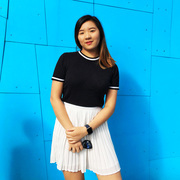 Currently studying Software Engineering at the University of Waterloo.